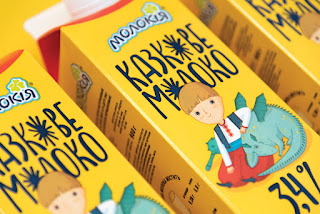 Fairy Milk (produced by Molokija company) is a well-known and successful brand on the Ukrainian market. It has numerous fans that value its quality and philosophy. 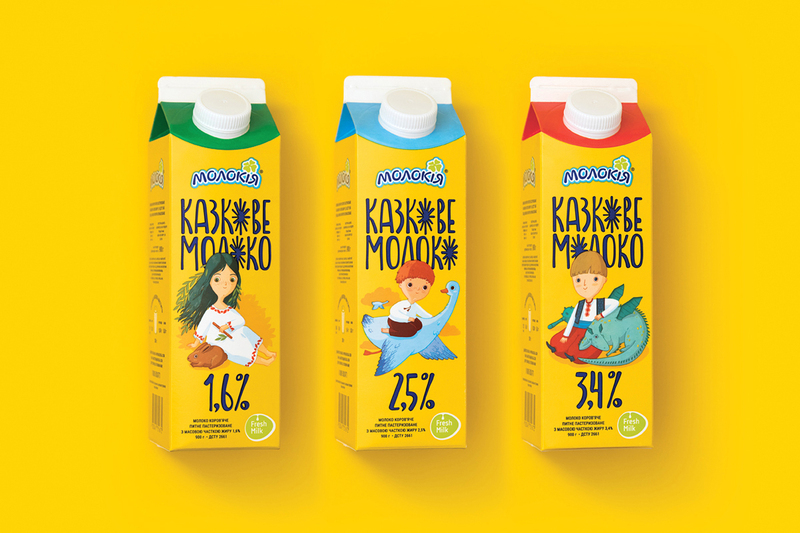 We were commissioned to redesign Fairy Milk line within global redesign of all the Molokija brands including the parent company. The main challenge was to analyze the old design and rethink it in a very careful way. As the brand is already successful, it is a huge responsibility to make any changes. New packaging should be familiar to all loyal customers and attractive to new ones. This mass-market product is sold in all the supermarkets around the country. That is why the design should be understandable and appealing for all kinds of people regardless of age, education and artistic taste. 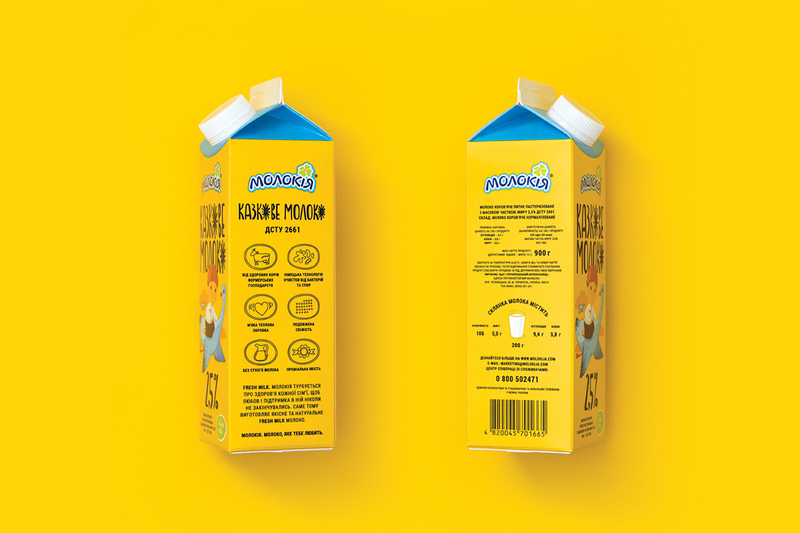 First of all, we had to keep the vivid yellow background of the packaging, as it has already become an important eye-catching attribute of Fairy Milk. It was essential to follow the existing childish style and use fairy tales characters, but we decided to make them especially touching and kind. 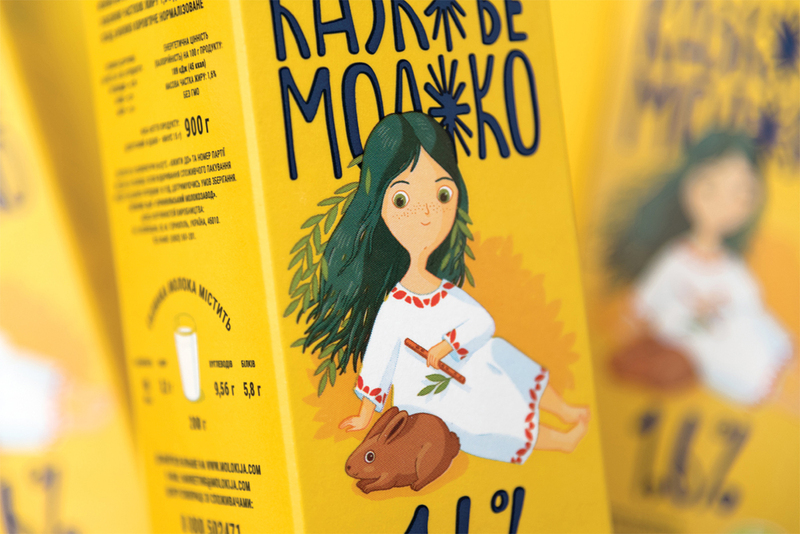 To underline the origin of Fairy Milk, we used only Ukrainian fairy tales and got inspiration from children’s books design typical of Ukraine. 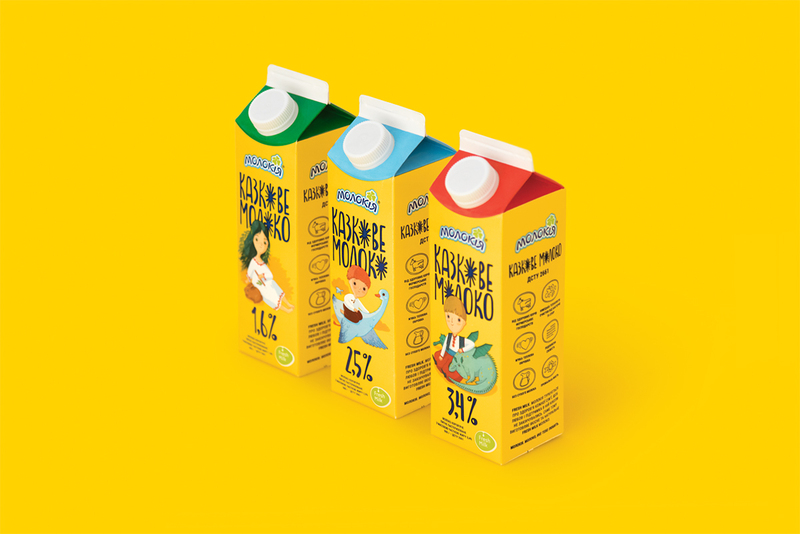 Three fairy tales with the most recognizable characters were taken as a basis for milk line. 1.6% Mavka is a forest nymph who helps humans dealing with nature and enchants young men with her singing. Mavka is a character of numerous stories and legends. 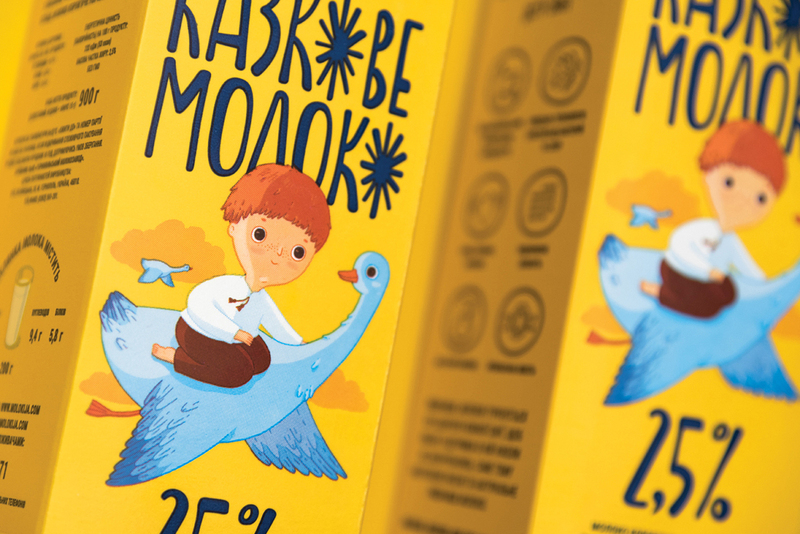 2.5% Ivasyk-Telesyk is a small boy who was kidnapped to be eaten by a witch. But kind goose helped him to escape. 3.4% Kotyhoroshko is an amazingly strong boy that defeated the evil dragon with a mace.